This article is completely written for those students who have successfully participated in the UCEED 2018 Exam that was carried out on 20th January 2018. 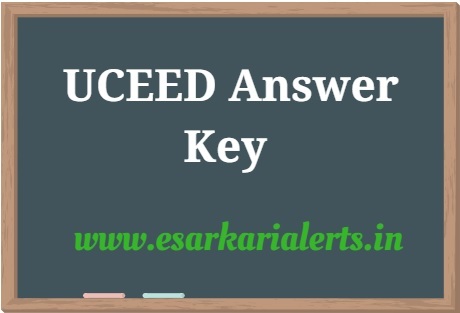 The students, who have made their presence in this examination, will be pleased to know that the Indian Institute of Technology, Bombay is about to publicize the official UCEED Answer Key 2018 on its website. This is a great info for those who want to know their correct attempts in the examination. It is going to be possible in upcoming days when the answer key is available to download. Obtain more information by scrolling down the page. 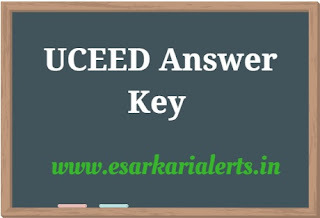 Topics Furnished on this Page: IIT UCEED Answer Key 2018, UCEED January Exam Answer Key 2018 & UCEED Answer Sheet 2018. About UCEED Exam: The UCEED is the short form of Undergraduate Common Entrance Exam for Design that is being organized by the Indian Institute of Technology to provide the admission to qualified scholars in Bachelor of Design (B. Des) programmes at IIT Bombay, IIT Guwahati, and IIITDM Jabalpur. For the UCEED 2018, a large number of contenders have filled their forms and they have taken the exam successfully. Recently, all candidates are worried about the IIT UCEED Answer Sheet because it will let them know that how many questions they have solved correctly in this test. However, the conducting organization has decided to issue the answer key on 27th January 2018. After checking the answer key, if you will have any comment on the answer key then you can submit your queries on or before 31st January 2018. Here are some simple steps to download the answer key easily. To download your answer key, log on the main website i.e. www.uceed.iitb.ac.in. Click on the link that relates to your answer sheet. If the site will ask any kind of details like roll number, date of birth etc. then submit otherwise you will get the PDF of the UCEED Exam Answers. Finally, open the PDF and match your answers. Candidates are advised to use only authorized UCEED Answer Key 2018. For the latest updates on this exam, keep connected with www.esarkarialerts.in.